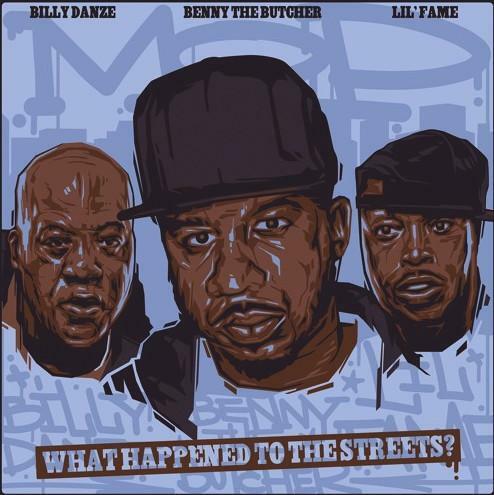 Benny The Butcher & M.O.P Team Up On "What Happened To The Street"
Home>New Songs>Planit Hank Songs> Benny The Butcher & M.O.P Team Up On "What Happened To The Street"
What Happened To The Streets? Planit Hank delivers a gritty street cut with the help of Benny and M.O.P. Benny The Butcher has been the talk of the underground for quite some time, as well as the rest of the Griselda Records clique. Now, he joins forces with the legendary M.O.P for a gritty track produced by Planit Hank. Planit Hank's brought together M.O.P and Benny The Butcher for their new collaboration, "What Happened To The Streets?" Planit Hank holds down the production with a dizzying string sample and some hard-hitting drums, giving M.O.P and Benny The Butcher a perfect platform to talk that New York street sh*t. Shylow the BeatYoda comes through with the scratches on the ones and twos. The three MC's detail the street life and getting to the money on this track while also showcasing excellent storytelling skills. Privaledge Drops Unreleased Nipsey Hussle Collab "So Cold"
SONGS Benny The Butcher & M.O.P Team Up On "What Happened To The Street"